Closes January 15, 2018. FREE for Museum members. 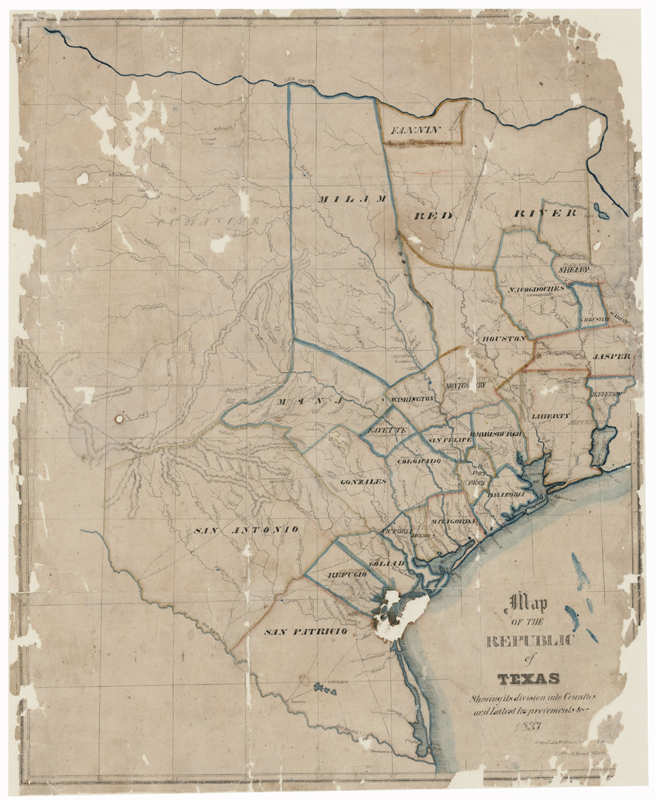 Featuring maps dating from 1513 to 1920, the special exhibition Mapping Texas: From Frontier to the Lone Star State traces more than 400 years of Texas history. 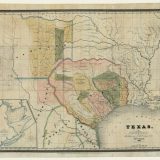 Visitors will have the opportunity to see the formation of Texas, from an unnamed frontier in the New World, to a small outpost of New Spain, to the huge, bustling state that now leads the nation. 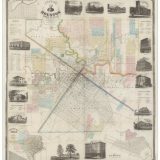 Through this unique presentation of cartographic history, visitors can visualize how the fourth largest city in the US, Houston, and the third most populous county in the US, Harris County, grew into an economic powerhouse because of the Houston Ship Channel and the growth of railroads in the region. 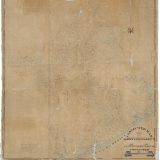 Mapping Texas: From Frontier to the Lone Star State will be in the Hamill Gallery and feature maps dating between 1513-1920. 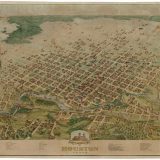 The works in this exhibition are mainly from the archival collection of the Texas General Land Office and Houston map collectors Frank and Carol Holcomb. Additionally, there are items on loan from the Witte Museum in San Antonio and the Bryan Museum in Galveston. 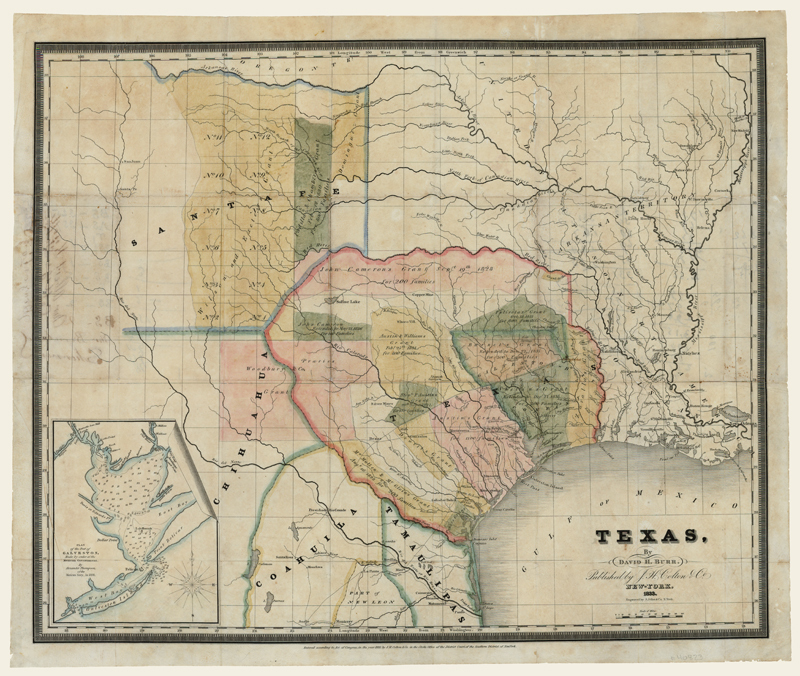 Mapping Texas: From Frontier to the Lone Star State. 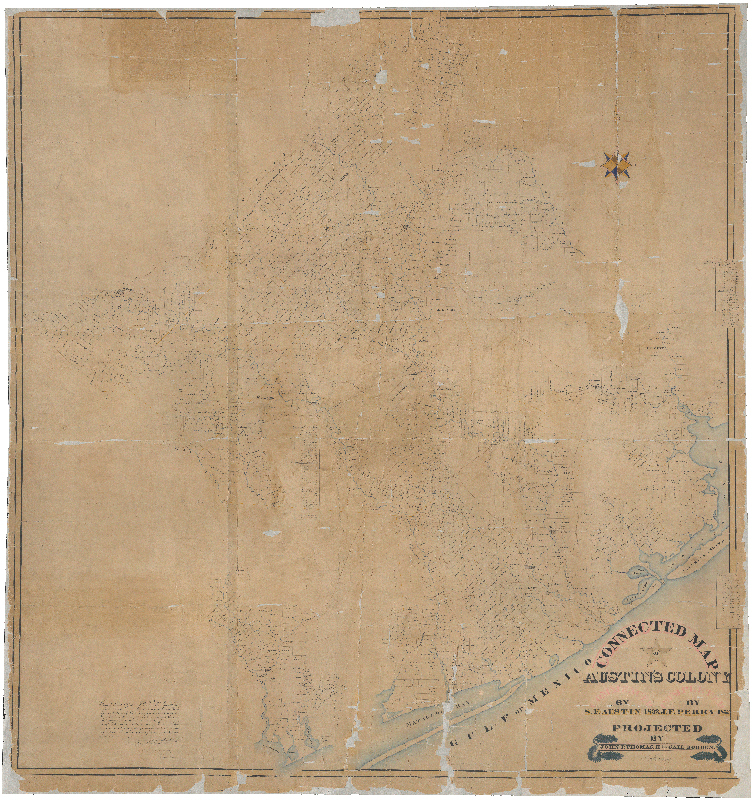 Created in 2004, the Save Texas History program is a statewide initiative to rally public support and private funding for the preservation and promotion of the historic maps and documents housed in the GLO Archives, and serves as a resource for teaching and digitizing Texas history. 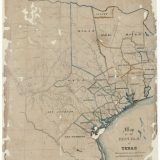 If you would like to donate to the Save Texas History program to adopt a document or collection, assist with archival acquisitions, develop educational programs, or support digital projects, please visit www.savetexashistory.org. Follow Save Texas History on Facebook (facebook.com/SaveTXHistory) and Twitter (@SaveTXHistory). 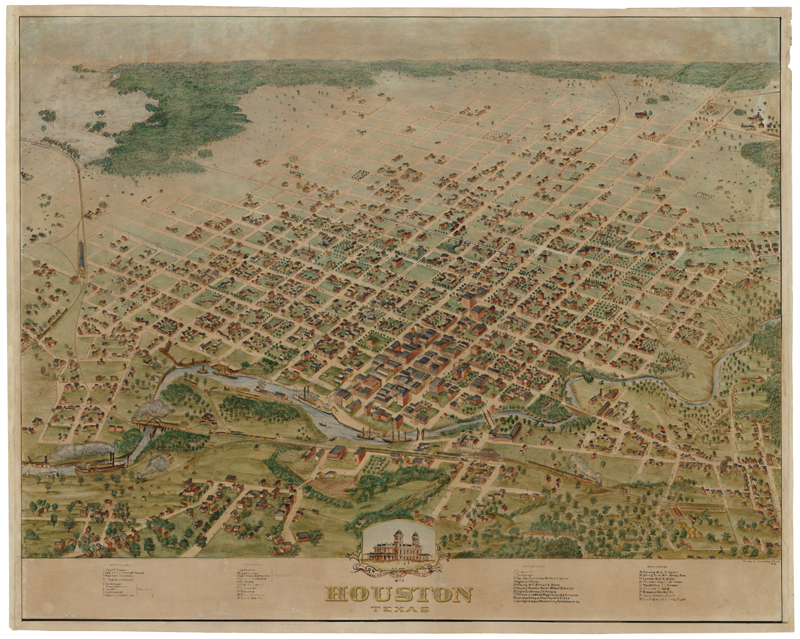 Frank and Carol Holcomb, of Houston, have been collecting maps since 1978. Their collection emphasizes color and rarity. 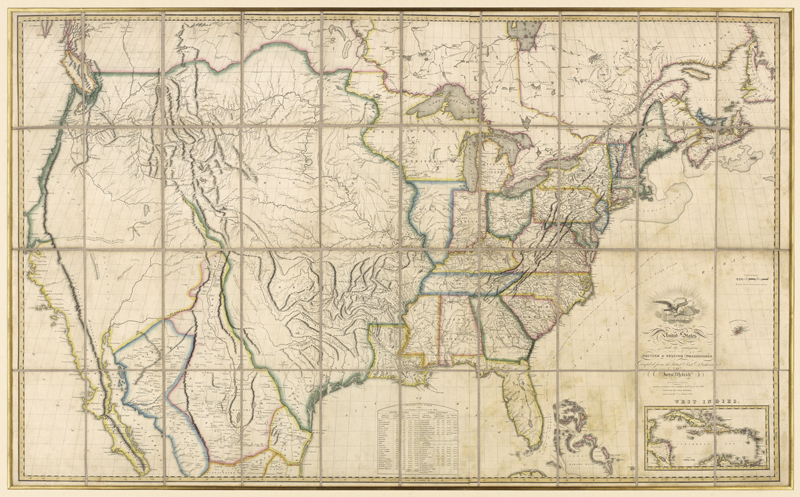 The Holcomb Collection consists of over 80 maps, dated between 1513 to 1904. 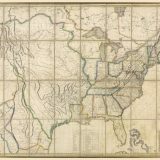 These collected works cover the entire Western Hemisphere, with a primary focus on Texas and the United States. 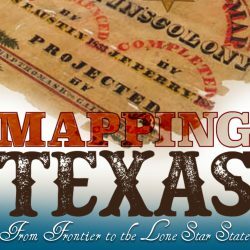 They have assembled a world-class collection, of which 19 are on exhibit at the Houston Museum of Natural Science during Mapping Texas: From Frontier to the Lone Star State. 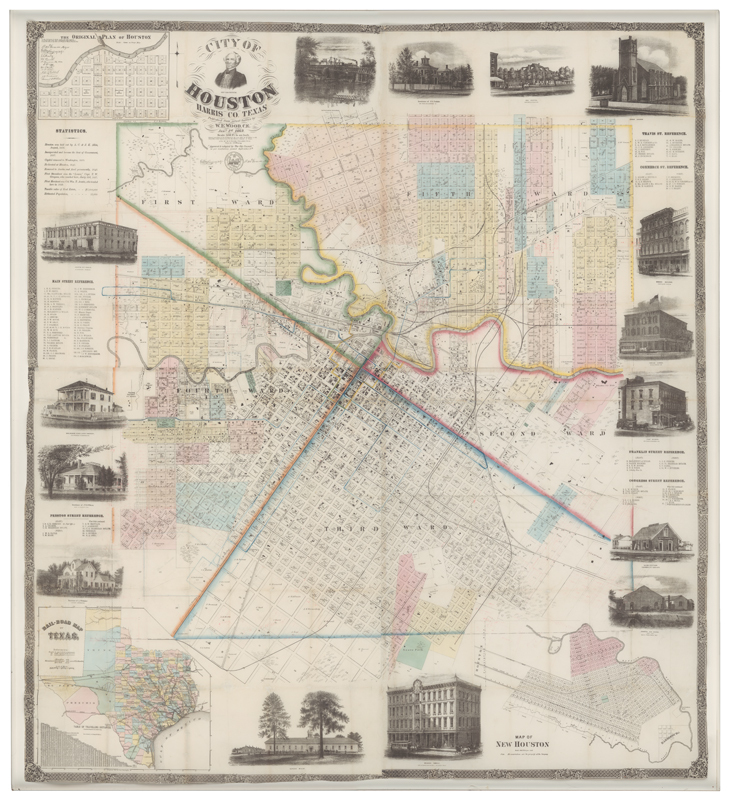 In 2014, Frank and Carol Holcomb worked with the Texas General Land Office to digitize their map collection with the desire to provide access to the public. Frank Holcomb practices tax, estate planning and corporate law in Houston. Carol has a strong interest in history and the decorative arts.